I was prepared to let Heather go the morning after she suddenly lost function of her back legs. I thought she was telling me it was time. She even let me snuggle her close for a while - a big "no no" for my sweet, independent girl. It was hard but I also knew watching her struggle would be harder. What I wasn't prepared for was the emotional roller coaster that comes with each rally and subsequent regression near the end. To be prepared to help a pet over the rainbow bridge only to see them rebound and learn there still may be weeks to come. The hope that builds up in your chest and the crushing anxiety you feel for weeks, sometimes months, collide day after day. I personally found it very confusing and hope these tips help a fellow pet parent stay strong when saying goodbye. First, understand that things are out of your control. Even with the latest and greatest advancements in veterinary medicine, a cure is not always possible. I'm not saying give up hope. Just accept that sometimes, there isn't much you can do but keep your pet comfortable. This is arguably one of the most difficult things to grasp but if you're able to do so, you'll have more energy to focus on staying strong. Be in the moment. As difficult as it may be at times, live in the here and now. Put down that smart phone and computer. Turn off the TV for a while. Don't let yourself project too far in the future and worry about what is to come. Be present. Celebrate the wins when they happen, cherish the good days and channel those positive feelings whenever you feel like the struggle is too great. If you find yourself living in the past, it is okay to gently remind yourself there will be plenty of time to reminisce once your pet passes on and that your furry friend needs you to be with them now more than ever. Do your homework. Talk to your veterinarian, read up on the condition your pet's been diagnosed with and share experiences with other pet parents. You need to know what to expect as the condition progresses, signs and symptoms to watch out for, things that can help with pain management, etc. Knowing these things up front can help relieve some of the burden later on and will help you make informed decisions along the way. Take time for yourself. Caregiver burnout is real. And to be the best pet parent you can in those last days, you can't afford to feel burned out. Make sure to schedule some time (even if it is 15-30 minutes) to do something that helps you recharge. Read a book, meditate or do yoga, hit the gym or go for a walk to help clear your mind. Let go. After a while, the rallies are fewer and farther between. You'll experience more bad days than you will good. Pay close attention to your pet's needs and trust yourself to know when it is time. Put your anxiety and emotions aside when helping a pet over the rainbow bridge by channeling those positive feelings and focusing on the good you're doing through this last act of love and compassion. 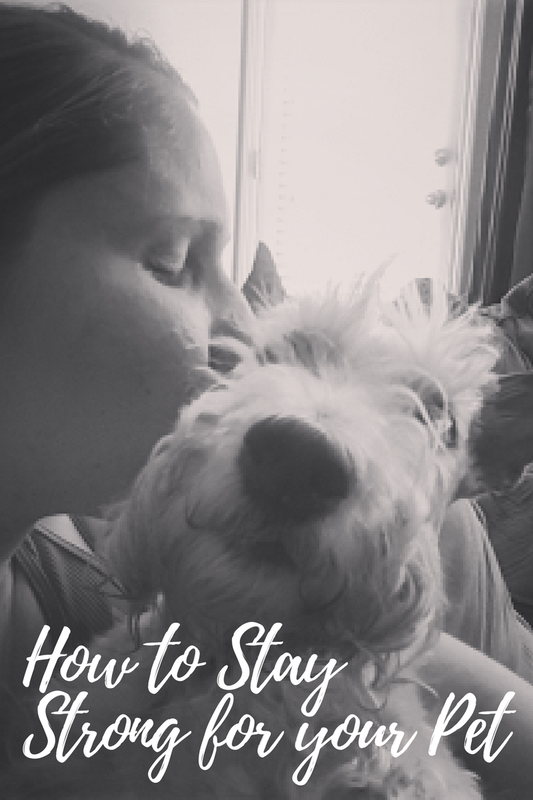 Your pet will rest easier and feel reassured that everything will be okay if you dig deep within and stay strong one last time. We actually got to the vet's for the event but Kyla rallied. A week later we went again for real. That week was a real gift. Relish the moments and keep those happy memories. we are rooting for you both. Thank you for finding time to share this with us. I love Heather so much and soon I will be going through the same with my Mandy. So far she seems fine. She doesn't even feels or looks sick but there are tumors in her belly and she is 14. So this will come in handy when time comes. I hope to be as strong as you have been. 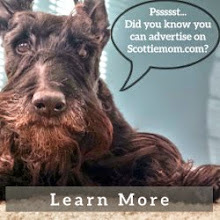 Puppy kisses and lots of Scottie love for you and your Scottie Crew, especially our girl Heather. 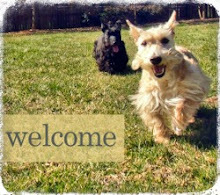 I have been there three times and with each pet it was a difference experience. You can't prepare for that moment.